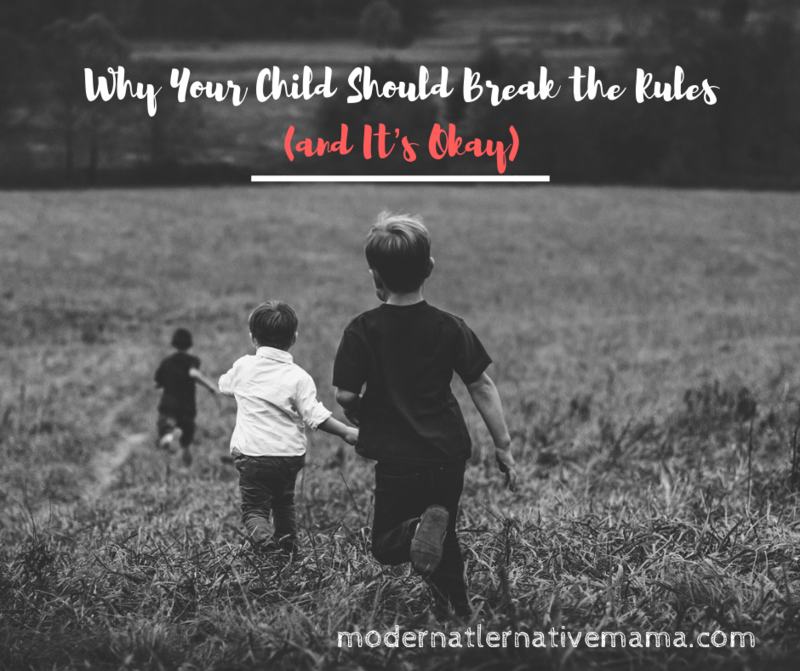 Learn why raising a rule breaker is the best thing you can do for the world today. I think it is time we ask ourselves if we are rule followers? Do you never leave your pajamas on the floor for a few hours? Is your kitchen spotless? Have you ever talked to your legislator about a law you did not like or one you wanted passed? We have to accept that we, ourselves, are not rule followers. And that’s okay. In our society, we have to accept that us crunchy, attachment moms are really not rule followers. We do not follow the expectations that society pushes on us. We got to be that way by questioning authority. We don’t want to raise children that put any rules above morals. And today, that means we are raising rule breakers. But, it is not a bad thing. 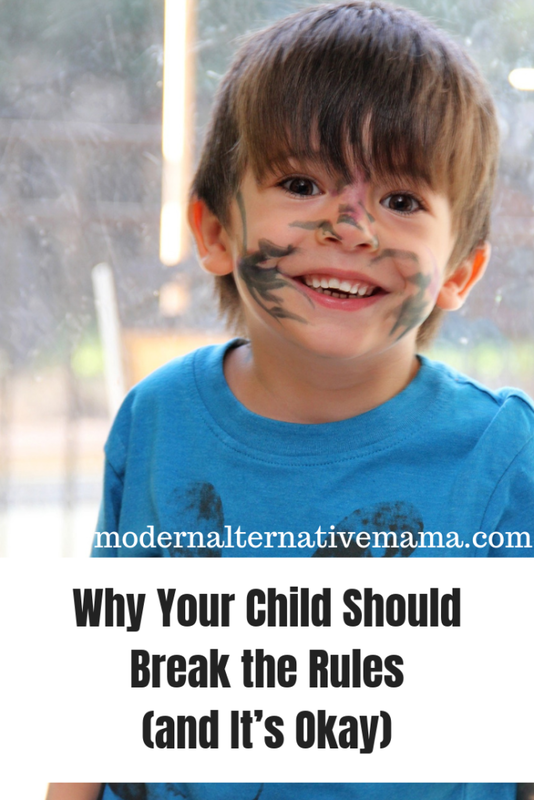 There is a balance between raising a rebellious child and a questioning child. Below are some ways to get started. How we are raised from the very infant years molds how we think. Instead of answering all of your child’s questions, ask them a question and let them think it through. Teach multiple points of view with no one “right” way. Let natural consequences rule. Instead of making up a consequence for each poor choice, let the child naturally learn the why behind what they should and should not do. Talk it out. Instead of simply saying “no,” explain why something may not be a good idea for them. Give your child the experience of talking with adults, legislators, and other people that may be unfamiliar to them. Consider homeschooling to keep your child from learning there is one right way to do everything, if possible. Allow them to work it out. Don’t tell your child to stop crying, or stop anything unless it’s dangerous to them. Let them work through it, with your help, and not your demands. Limit fear. Keep from threatening your child that you will do something or something bad will happen if they choose to do this or that. Also don’t use physical punishments. If you come from a long line of rule followers, and struggle with standing up to authority yourself, it may be a good idea to work on yourself first. Here are a few ideas to help you get rid of your strict rule-following ways. Review the rules in your home. Are you forcing yourself to be a perfectionist? Is it impacting your joy? Are your family members on their toes around you when the house is a mess? Reassess your expectations and find ways to introduce more fun and less rules. You will find that most things of the home get done eventually – just not on your schedule. Intentionally have a “fun” or “yes” day, where your kids get to pick activities and no cleaning up is done until the next day. Ask yourself if there are relationships where you are people pleasing, and set stronger boundaries. We are trained to see questioning authority as a bad thing. But really, it shows intelligence and self confidence. It is a sign of a being that will not be bullied. It isn’t easy, but it’s good to change the way we see it and to start celebrating it in our children. Look over your home and the way you manage it, and ask yourself how you can introduce more opportunities to allow choice and decision making skills. This world desperately needs rule breakers. People who will stand up for the truth and what is right, and stop our governments from encroaching on our liberties. Why not raise them? How do you raise a rule breaker?